Facilitating complementary currency and local exchange systems on the island is one of Transition Oahu's focus areas. To that end, for this month's get-together, we'll be showing a portion of Money & Life, followed by discussion. Bring a dish to share and make friends with other Transition Oahu members over a potluck dinner. Location: Ron Robinson's place, 667 W. Hind Dr. in Aina Haina. 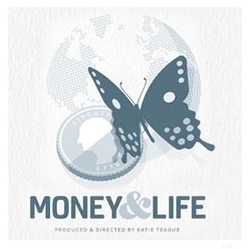 "Money & Life is an inspirational essay-style documentary that asks a provocative question: can we see the economic crisis not as a disaster, but as a tremendous opportunity? This cinematic odyssey connects the dots on our current economic pains and offers a new story of money based on an emerging paradigm of planetary well-being that understands all of life as profoundly interconnected. Money & Life invites us to meet the challenge of our time: to participate in the great transition to a sustainable, equitable and restorative economy that meets the needs and realities of the 21st century." (from movie description). We like to be as waste free as possible at all our events, so please remember to bring your own reusable plates, cups and eating utensils and serving spoons for your dish. And if possible, please include an ingredient label for those following special diets.